STOCKHOLM -- A disgraced stem cell scientist is facing preliminary charges of involuntary manslaughter in connection with two patients who died after windpipe transplants, Swedish prosecutors said Wednesday. 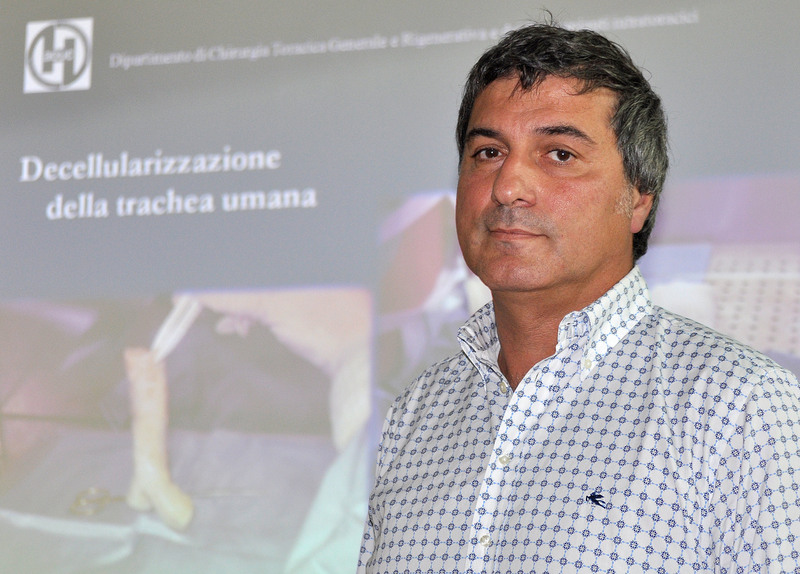 Dr. Paolo Macchiarini, who was fired earlier this year from the Karonlinska Institute, is also being investigated in two cases of causing bodily injury. One of those cases was related to a windpipe transplant, and the other to a different type of operation, prosecutor Anders Tordai told The Associated Press. Once considered a pioneer in regenerative medicine, Macchiarini was part of the team that conducted the world's first transplant using a windpipe partly made from a patient's own stem cells in 2008. Macchiarini was also involved in at least two windpipe transplants in the U.S., one of them the first carried out on a child. That little girl, 2-year-old Hannah Warren, died in 2013, several months after the procedure, with doctors saying she had been "unable to overcome additional health issues that were identified as her care progressed." The scientist was also involved in the same procedure carried out on a Baltimore man with throat cancer in 2011. He died about three months later. It wasn't immediately clear whether the U.S. patients' families were involved in the legal proceedings against Macchiarini in Sweden. Since last year he has faced accusations of falsifying his resume, scientific misconduct and misrepresenting his work. Karolinska fired him in March for various reasons, including breaching the institution's "fundamental values" and damaging its reputation. Tordai said investigators questioned Macchiarini last week and informed him of the criminal investigation against him. In Sweden that's the first step in a legal process that may or may not lead to formal charges. "Of course with the accusations that were made against me last year the prosecutor has to investigate, and I have been very happy to give them any information that they need for that investigation," Macchiarini told The Associated Press in an email. Numerous concerns have been raised about his work, including whether he misrepresented the condition of his patients and whether consent was properly obtained. A Swedish documentary that suggested some of Macchiarini's patients were "tricked or talked into undergoing surgery" was described by Karolinska as "truly alarming." Macchiarini is suspected of aggravated involuntary manslaughter, a crime punishable in Sweden by between six months and six years in prison.